Where the reviews are made up and the stars don't matter. I got a copy of this book in the mail, and while it was probably just a simple computer error or something, the postmark indicated that it was sent in January of 2061, but that's impossible because it's only 2017 now. I had a really hard time getting into this book at first, because I kept getting distracted by the excessive use of italics on words. It seemed like there was at least one word italicized on every single page, and some pages had more than one. I'm a big fan of using italics to add emphasis to words, but when you're italicizing that much, the emphasis disappears. But then I started to really pay attention to the italics, and I realized that they were part of a secret message. Someone is very clearly trying to warn us of dangers in the future. I don't want to give away the whole secret, because I don't want the powers that be to know that we're on to their plan, but there will be mime-crimes, epidemics, invasions, death, and safe insanity. Just be on the lookout for it, because it's coming y'all. This book says so in it's secret message. Once I realized that this book contained a secret message from the future, it got so much more engaging. 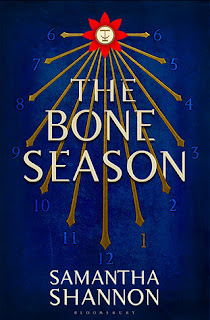 Overall I give this book 4 out of 5 future stars. 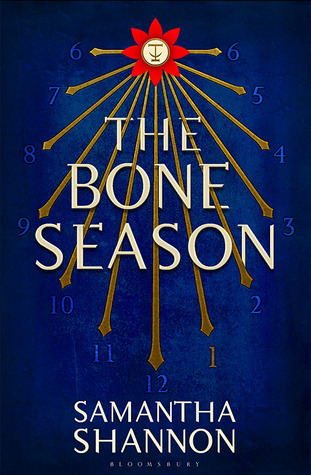 If you would like to read some legitimate reviews of The Bone Season, just click any of the following links. LOL, thats an awesome review. Reviews should not be taken seriously.